Google recently released the Android P Beta and now it is available as a beta update on a bunch of devices including the Google’s Pixel smartphones. Google has upgraded the user interface on the Android P a lot, it does look kind of familiar but doesn’t feel like it. You may think that some of the features like like clearing the background tasks or running apps have been removed it but they are still there, they have just been changed a little by Google. Another feature which is hidden is the split view feature. As the recent apps interface has been refreshed, you cannot tap and hold the task card and drag it to enter the split screen mode. 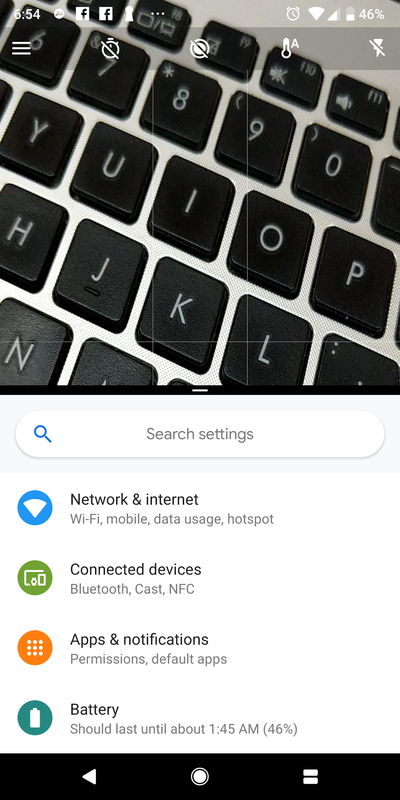 Another shortcut to enter the split screen mode is to hold down the recent apps button in the navigation bar but it too doesn’t work anymore in Android P Beta. So, how you are going to enter the split screen mode in Android P Beta? 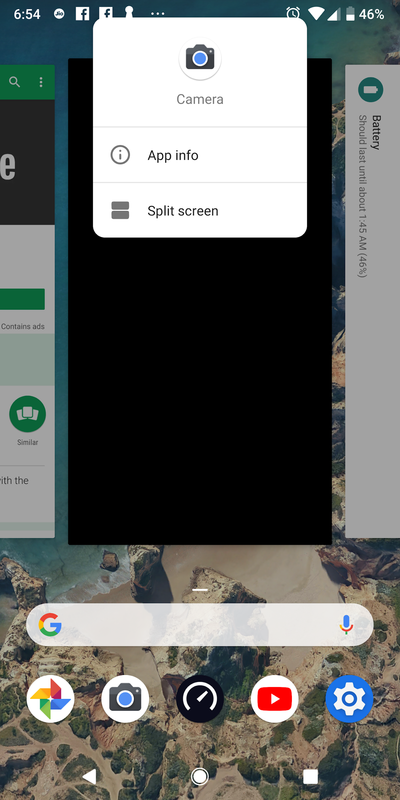 Here is a little guide to help you enter the split screen mode in the Android P.
Enter the recent apps screen by tapping the recent apps button in the navigation bar or swipe up on the home screen. Now, tap the app icon on the top of the card which you want to use in split-screen view. Tap the split screen on the pop-up menu and the app will shift to the top half side of the screen. The interesting thing is that the camera is working in a split screen view which was not possible before in any version of Android. So, there you got it, you can now use split screen view on Android P Beta. Go here to know more about the Android P Beta or read about some tips and tricks you can use in Android P Beta.